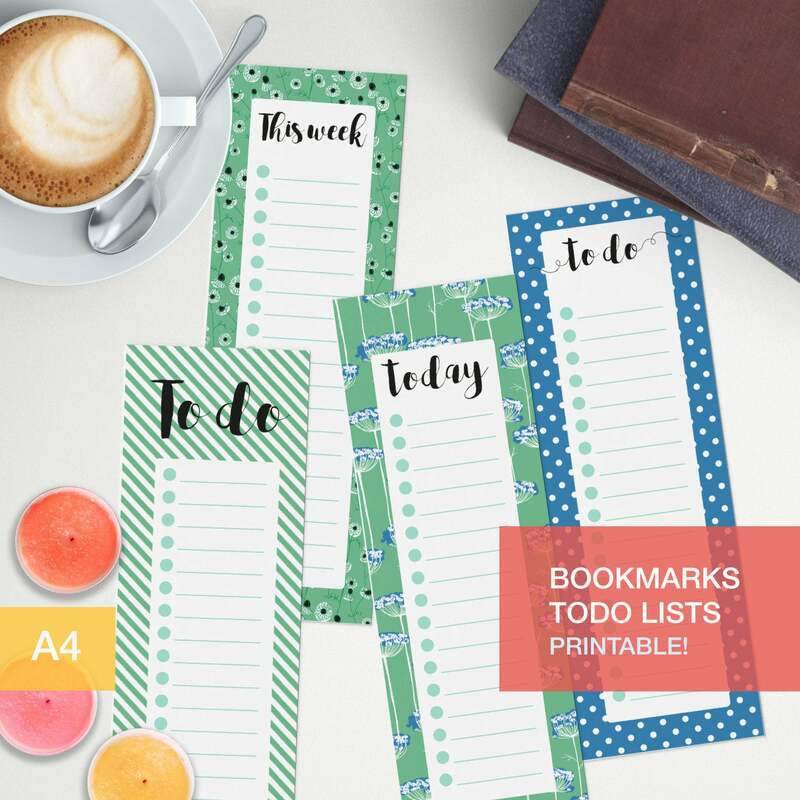 A to do list bookmark that you can print any way you want. 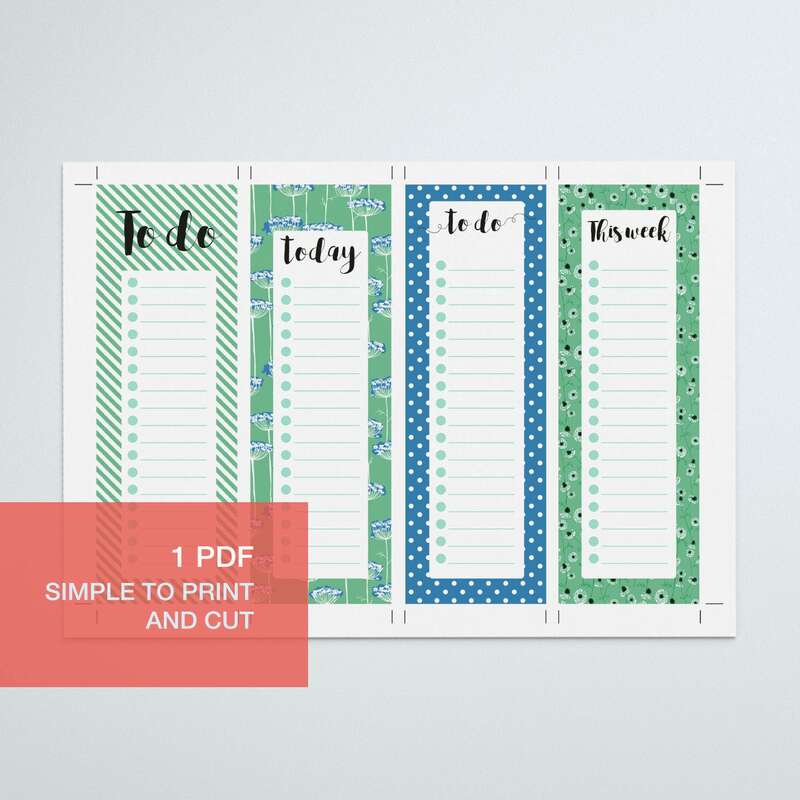 There are 4 versions in a A4 sized sheet that you can print all over again and cut easily. Just another lovely thing to decorate your planner or to keep track of the things you have to do during the day. The files are A4 sized PDF and JPG and as such you'll ned a pdf reader such as adobe acrobat reader to open them.
. The art gets to the borders of the file, but every printer is different in this and it probably won't be possible for you to get to the border. You may need to cut the page later to fit the art.
. The pdf files are non-editable. They can be resized for A5 easily though.
. For digital files refunds are not available but please contact us if there are any problem, we’ll try to sort it out in a way that will make you happy with your order!
. Personal use only, purchase doesn't transfer copyright so please don't distribute this item for free or resell in either digital or printed form.